Seven sommeliers from restaurants around the country share their recommendations for favorite wine importers and wines from the importers’ portfolios. 2006 Boroli Madonna di Como Dolcetto D’Alba ($17) The Boroli family has been in Italy’s Piedmont region since 1831 but didn’t start making wine until the 1990s. Among the wines it produces is this cherry-rich Dolcetto. 2007 Saracco Moscato D’Asti ($26) Paolo Saracco, sometimes called “the maestro of Moscato,” made his name with this effervescent, graceful wine. It’s slightly sweet and ideal as either an aperitif or with fruit for dessert. 2003 Binomio Montepulciano d’Abruzzo ($45) Well-known Soave winemaker Stefano Inama and Sabatino di Properzio of Montepulciano’s Fattoria la Valentina combined talents for this intense red. Luscious and chewy, it shows the depth of Montepulciano’s potential. Star Selection: 2004 Avignonesi Desiderio ($50) Streamlined black-cherry fruit, fine tannins and a long, compelling finish define this red from a Tuscan producer that’s been making wine since the late 16th century. 2006 Domaine Marc Kreydenweiss Kritt Pinot Blanc ($23) An early proponent of the semi-mystical, organic approach to farming known as biodynamics, 12th-generation winemaker Marc Kreydenweiss produces a range of compelling whites from France’s Alsace region. Lushly textured, this bottling suggests peach nectar and smoke. 2005 Domaine Philippe & Vincent Jaboulet Crozes-Hermitage ($28) After selling their famous family estate in 2006, this father-and-son team established a new company, which concentrates on the same Rhône wines that have made the Jaboulet name so well-known for more than 200 years. This powerful Syrah, among the first wines they’ve released, is robust and earthy. 2006 Domaine Leflaive Mâcon-Verzé ($31) Domaine Leflaive makes some of Burgundy’s greatest white wines from its biodynamically farmed vineyards in Puligny-Montrachet. In 2003, it took over another vineyard in the Mâconnais town of Verzé, which produces this elegant, nectarine-scented white that costs a fraction of the price of Leflaive’s better-known wines. 2004 Domaine de Courbissac Minervois ($20) A collaboration between filmmaker Reinhard Brundig and winemaker Marc Tempé, Domaine de Courbissac is a biodynamically farmed estate in the southern French region of Minervois. Its flagship wine, made from Carignane, Syrah and Grenache, is ripe with rustic black fruit. 2005 Domaine Servin Chablis Vieilles Vignes Sélection Massale ($26) In the hands of François Servin, the youthful director of this family estate, Domaine Servin has had a renaissance, its wines shifting from stolid and serviceable to complex and evocative. This cuvée, from 40-year-old vines, balances bright green-apple fruit against firm, minerally notes. 2005 Domaine Charvin Châteauneuf-du-Pape ($65) This tiny French estate, a mere 20 acres of vineyards, produces a graceful, peppery, layered red (partly because Charvin sells half of the small amount of grapes it harvests, keeping only the best lots). Full of silky, smoky black raspberry fruit, the seductive 2005 vintage is a profound example of Châteauneuf-du-Pape. 2004 Château de Chamboureau Savennières ($24) The Soulez family has made wine in France’s Loire Valley since the early 1900s, partly from the 15-acre Château de Chamboureau, which produces bottlings like this one—dry, minerally and full of pear and spice notes. 2005 Dominique Cornin Pouilly-Fuissé Clos Reyssié ($36) Dominique Cornin’s tiny winery produces some of the most evocative wines in France’s Mâconnais region, among them this rich, savory Pouilly-Fuissé, with its aromas of honey, smoke and vanilla. 2005 Niepoort Vertente Tinto ($36) This peppery, approachable wine, made from a variety of local red grapes, comes from Dirk Niepoort—arguably the single most influential producer of dry table wines (i.e., not port) in Portugal’s Douro Valley region. 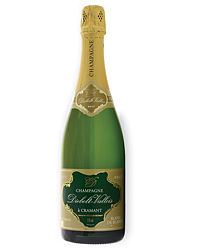 Star Selection: NV Diebolt-Vallois Blanc de Blancs Champagne ($54) Made entirely with Chardonnay grapes, this delicate, precise Champagne from a top boutique producer has a clean, citrusy edge to its flavors. 2007 Domaine Vincent Delaporte Sancerre ($32) Located in France’s Loire Valley town of Chavignol, Delaporte produces a range of whites from the Sancerre and Pouilly-Fumé regions. Its basic Sancerre in 2007 has kumquat and citrus fruit and a creamy finish. 2003 Caparzo Cà del Pazzo Sant’ Antimo ($52) Caparzo is known mostly for its fine Brunello di Montalcino, but the Italian estate also makes this dense, ripe red from the odd Sant’ Antimo appellation—odd because it covers exactly the same area as Brunello di Montalcino but allows different varieties of grapes, such as the Cabernet Sauvignon that forms a good portion of this smoky wine. 2006 Domaine Weinbach Cuvée Theo Gewürztraminer ($55) One of the top estates in France’s Alsace wine region, Domaine Weinbach was founded by Capuchin monks in 1612 and has been owned by the Faller family for the past century or so. 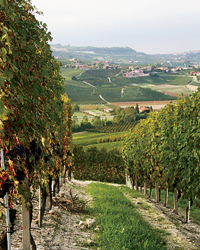 It’s home to some of the region’s most focused Rieslings, as well as top-notch Gewürztraminers. This spicy cuvée is characteristically full-bodied and luscious. 2004 Luberri Vineyards Biga Rioja ($19) Spanish winemaker Florentino Martinez Monje uses low-yielding, old Tempranillo vines for this flavorful Rioja. It’s full of black pepper and black raspberry notes, softened by a year of aging in oak barrels. 2006 Do Ferreiro Albariño ($29) Organic viticulture and native (not manufactured) yeasts amplify the personality of this vibrant, lemony Albariño from the Rías Baixas region in northwest Spain. It has an evocative, almost saline aroma, like spray from the ocean. Star Selection: 2005 Joan d’Anguera Finca L’Argata ($30) Joan and Josep D’Anguera, among the top talents in Spain’s Montsant region, produce this dense, black cherry–rich Syrah blend. 2006 Bodegas Verduguez Volver ($16) Recently, talented winemakers have been headed to Spain’s vast central region of La Mancha and using old-vine fruit to make concentrated, affordable wines such as this one, which is bursting with black cherry and raspberry flavor. 2005 Allende Rioja ($36) Allende’s top wine, Aurus, is extraordinary, and at $254 a bottle, it’s hardly a casual purchase. Yet owner-winemaker Miguel Angel de Gregorio’s basic Rioja is impressive, too. A refined, graceful red, it’s especially so in the superb 2005 vintage. 2006 Bodegas Ateca Atteca Armas ($45) For Bodegas Ateca’s premier wine, ancient Grenache vines planted 3,000 feet above sea level produce a red whose ripe cherry fruit and spice notes are so potent they last for minutes. Star Selection: 2007 Bodegas Godeval Viña Godeval ($19) More than 2,000 years ago, Romans mined Spain’s Valdeorras (Valley of Gold). Today the region is better known for citrusy whites like this one, made from the Godello variety.